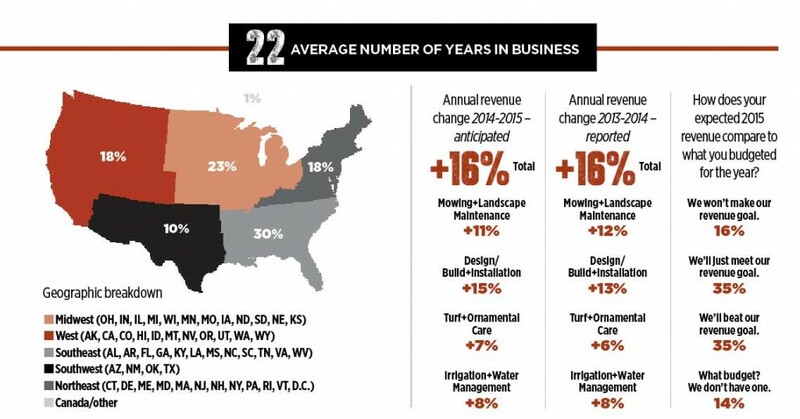 Landscape professionals are having a good year—and they expect 2016 to be even better. The numbers are in: It was a good year for the landscape industry. 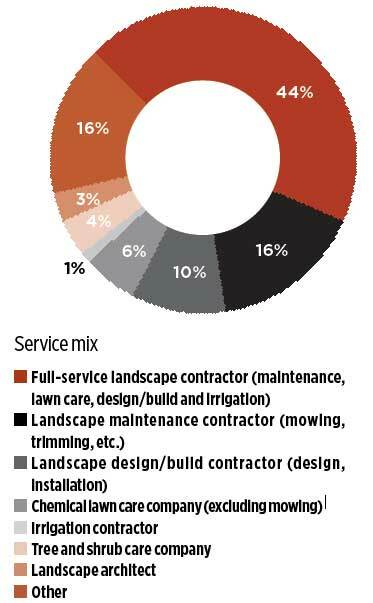 Eighty-five percent of landscape professionals described the state of the market as “very healthy” or “relatively healthy”—up five points from last year, and nearly double the level we reported in 2010. “2014 was our strongest year ever, and we’re about to close this year stronger than last year on the top and bottom line,” says Chris Joyce, president of Joyce Landscaping in Marstons Mills, Mass. The $11.5 million, full-service company primarily serves the high-end residential market. The company has the best construction backlog in its history going into next year. 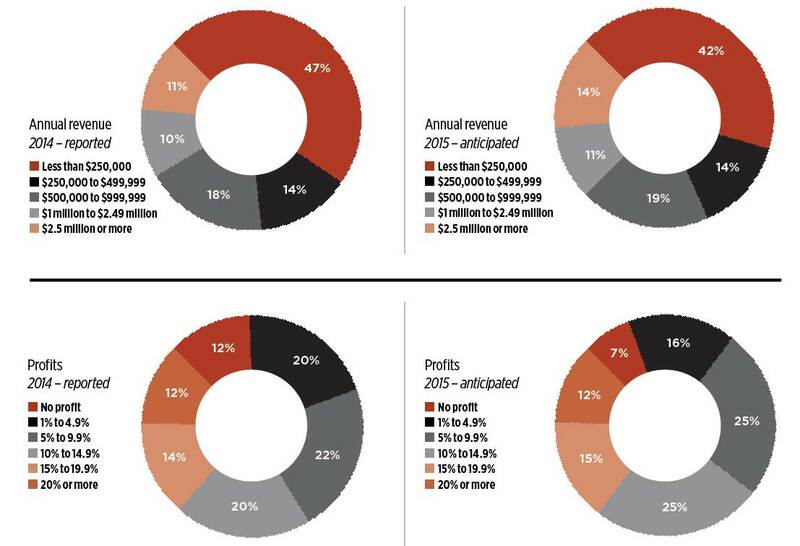 And on the maintenance side, it hit all its revenue targets for 2015 and the margins are good. He’s not the only one who’s looking forward to next year. 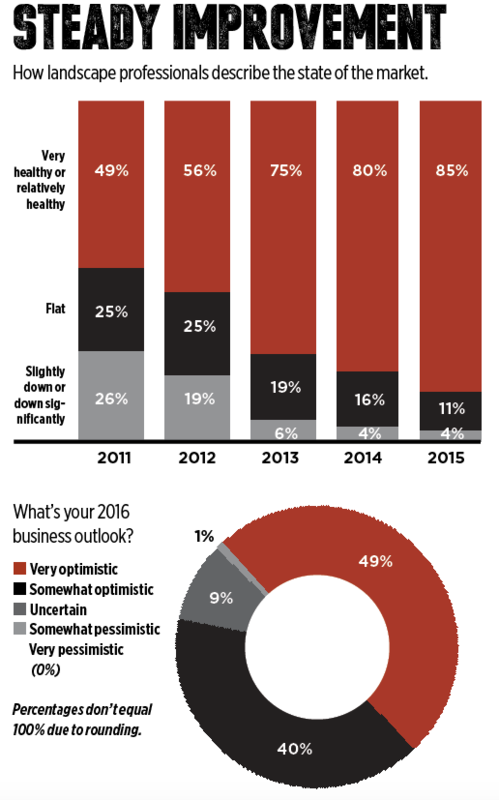 Nearly nine in 10 industry members are very or somewhat optimistic about 2016. That figure is up more than 20 points from 2010 when we asked the same question heading into 2011. At that time, more than a quarter of people said they were “uncertain” about the coming year, compared to less than 10 percent who gave that answer this year. Research firm IBISWorld predicts the next five years will continue to improve for the landscape industry, which it calls a $76 billion market with a 3.7 percent annual growth rate since 2010. It points to steady per-capita disposable income growth, which encourages people to hire professionals and helps the residential market. General economic recovery will boost the commercial market, the research says. 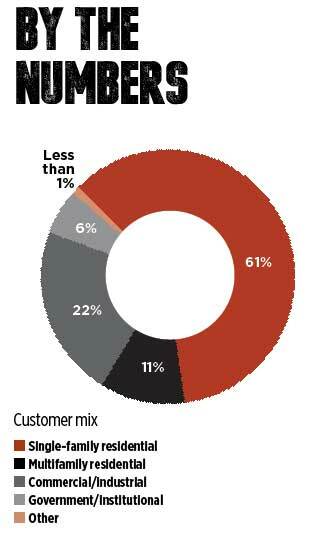 Even in low-growth areas of the country, contractors are hopeful. Lowes Landscaping in Cuba, Mo., which sits on Route 66 about 90 miles southwest of St. Louis, is growing, although the region is not, says President Erik Lowes. Still, he says the state of the landscape industry is good for reputable companies. The full-service company will do about $450,000 in revenue this year, a 30 percent bump over 2014. In 2015, the company added tree care to move toward services with a “higher perceived value” than mowing. “I’m hoping at the end of next year that we’ll have 20 percent of our revenue coming from tree care,” Lowes says. But overall, he plans to put the brakes on growth next year to focus on internal systems and determine if he should add management to help manage the crews and add capacity. Near Dayton, Ohio, Andrew Ziehler is seeing a comeback. The president of Ziehler Lawn & Tree Care, a $1.9 million company with about 31 employees, says client spending is steady again. The bulk of Ziehler’s business is in the residential turf care market. “I think it’s strong,” he says. “We’re seeing people spend more money, take additional services, and we’re seeing a renewed demand for quality service.” The company, which added pest control, expects to be up more than 30 percent over 2014, and he’d like to maintain that level of growth next year. Reliable Property Services, a Minneapolis commercial maintenance and snow management company with branches in Iowa and Wisconsin, is also seeing an uptick. Despite all the positive feelings about the industry and the economy—and some bright spots, like a dip in fuel prices—there are challenges. For example, many costs are increasing, an election year brings uncertainty and, of course, there are concerns about the labor market. Reliable, a $32 million company, expects to grow about 12-15 percent next year. Some growth will be organic, but Hougnon says acquisitions are also on the table. “It’s a great time to buy companies right now,” he says, noting there appears to be a crop of middle-aged owner-operators who are looking for exit strategies. According to the National Association of Home Builders, economic and housing recoveries continue at a slow, steady pace. In particular, the Leading Markets Index, which uses single-family housing permits, employment and home prices to measure proximity to a normal economic and housing market, rose to .93 in the third quarter of 2015. A value of 1.0 means the market is back to normal. The level was .89 a year ago. With less than 12 months to go until the 2016 presidential election, there will be many issues important to the landscape industry bantered about—minimum wage, immigration, taxes and more. Unfortunately, there’s little chance the government will act on those issues during the election year or the year following, regardless of whom moves into the White House. Bureaucratic uncertainty is a concern for Andrew Ziehler. Ziehler is concerned about proposed mandates for wage hikes and unfavorable tax provisions, such as the Section 179 tax deduction on equipment and software being reduced to $25,000 from $500,000. He’s also concerned about reaching the 50-employee level and the requirements that kick in under the Affordable Care Act.